Even before beginning their official teasers for their 10th anniversary comeback, SHINee referred to their anticipated return first with the 'Marie Claire' magazine. It seems in sync with their comeback, SHINee took part in a pictorial for 'Marie Claire's June issue. 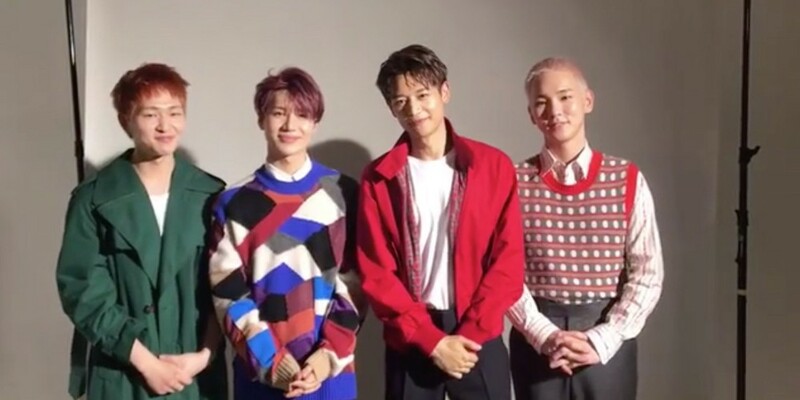 The magazine recently released a greeting clip from the SHINee members ahead of the magazine's publication later this month, where SHINee said, "To celebrate our 10th anniversary, SHINee have come back with a new album! Please look forward to it, and please check the June issue of 'Marie Claire' for our interview, as well as additional details." Netizens also noted after seeing the greeting video that the members have changed up their hairstyles for their comeback. Who's pumped for SHINee's 10th anniversary?